For those collectors who love Marvel films and collecting coins, there’s a brilliant new series of silver for sale backed by the Reserve Bank of Fiji. The Ironman Mask Domed Coin is the lead release in a new collection known as the Marvel Icon Series. Today, the 2019 2 oz Antique Silver Fiji Marvel Ironman Mask Domed Coin is available to you online at Silver.com. Coin ships to you inside of a beautiful display box with distinct Certificate of Authenticity! First coin in the new Marvel Icon Series! The face value of $5 (FJD) is fully backed by Fiji’s central bank. Iron Man’s mask is excellently replicated on the domed obverse side. Fiji’s official seal is found on the reverse side of the coin. 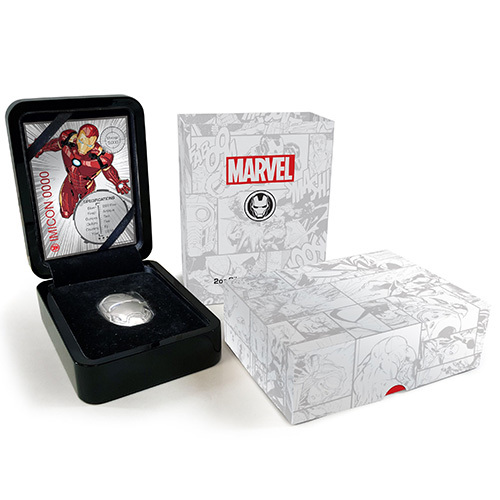 The new Marvel Icon Series introduces state-of-the-art minting techniques that create domed, 2 oz silver coins. Each of the designs will reflect a different superhero from the Marvel Cinematic Universe that has been dominating the box office for the past decade. 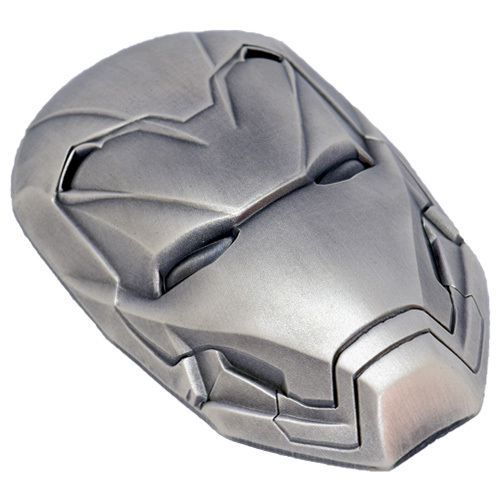 The Ironman Mask Domed Coin is a fitting debut for the collection given the prominence of Iron Man in Marvel films. 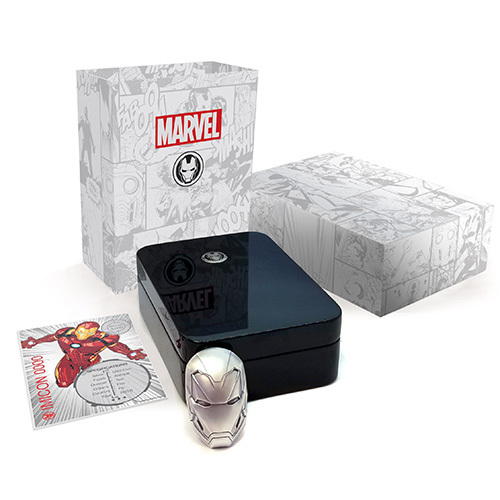 All 2019 2 oz Antique Silver Fiji Marvel Ironman Mask Domed Coins are available to you in a signature gloss-lacquer display box that has a black finish. The box is housed within presentation packaging and the coins come with a numbered Certificate of Authenticity unlike any you’ve received with other collectible coins. The new Certificate of Authenticity for these coins is a silver foil COA that is produced out of 2 Grams of pure silver. The COA includes the unique serial number of your coin, along with all the verification information on the coin’s weight, purity, metal content, total mintage, face value, and nation of issue. 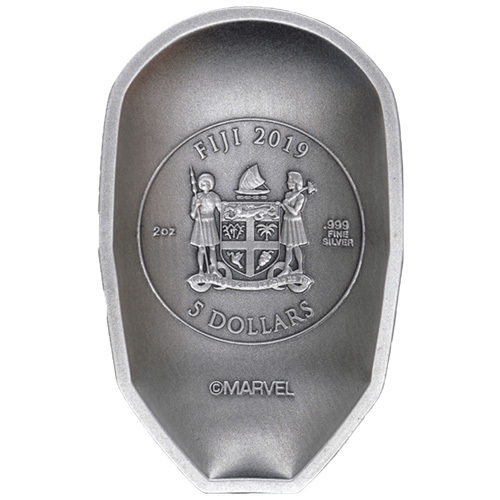 On the reverse of the new 2019 2 oz Antique Silver Fiji Marvel Ironman Mask Domed Coins, you’ll find a flat surface with the crest of Fiji in the center of the design field. Surrounding it are markings of “Fiji 2019,” “2 oz,” “.999 Fine Silver,” and “Five Dollars.” The Marvel copyright logo is also found on this side. 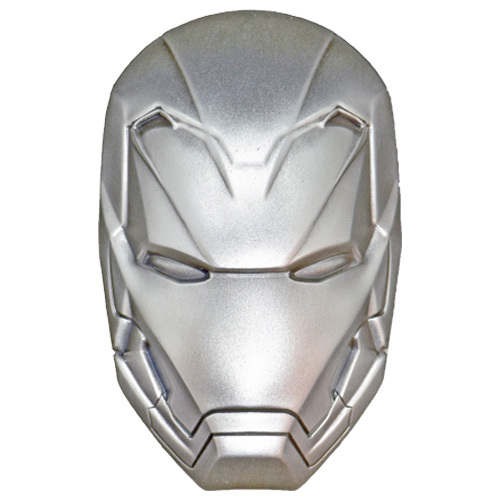 The obverse of the Silver Fiji Marvel Ironman Mask Domed Coin is a 3D finish that accurately depicts the mask worn by Iron Man. Actor Robert Downey Jr. has portrayed Iron Man on the big screen for more than a decade now, appearing both in the Iron Man franchise of films as well as The Avengers and its sequels. Please don’t hesitate to contact Silver.com if you have questions. You can reach out to us on the phone at 888-989-7223, chat with us live online, or simply send us an email with your inquiries.